A winter storm passing through the State of Georgia Wednesday may have stranded thousands of motorists, but for one prisoner on death row it brought a four-day reprieve. Kelly R. Gissendaner, 46, was supposed to be executed by lethal injection on Wednesday evening. Anticipating snow-related problems, the Georgia Department of Corrections rescheduled the execution for Monday. Spokeswoman Gwendolyn Hogan cited “winter weather and associated scheduling issues” as reasons for the temporary reprieve, noting that this was the first time the state had delayed an execution on account of weather. The National Weather Service forecast up to 8 inches (20cm) of snow in the northern parts of Georgia and issued a winter storm warning until Thursday morning. While mild in comparison to the record-breaking snowfall in northeastern US this winter, the storm is unusual for the southern state. Governor Nathan Deal declared a state of emergency, set to last till the storm’s end on Thursday afternoon. Gissendaner was charged with planning the February 1997 murder of her husband Douglas, committed by her then-boyfriend, Gregory Owen. 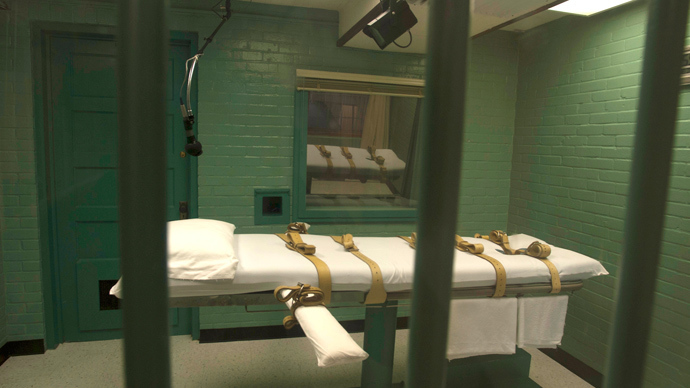 While Owen was sentenced to life imprisonment, Gissendaner received the death penalty. Her last appeal for clemency was rejected earlier this year.